We have been reading a lot lately about plastic islands in the Pacific and the bits and pieces of plastics and microfibers that come off clothing in the laundry and rub off soles of shoes as you walk on pavement. These are concerning issues because fish, birds, and other wildlife ingest these particles. These potentially toxic plastics get more concentrated as they move up the food chain. When seafood and other types of meats are harvested, for example, the plastics enter the human food chain. There have been reports of some beers containing micro plastics as well, as pervasive plastic bits have entered the water supply. What happens to the plastics as synthetic clothing and shoes degrade in use and wear? 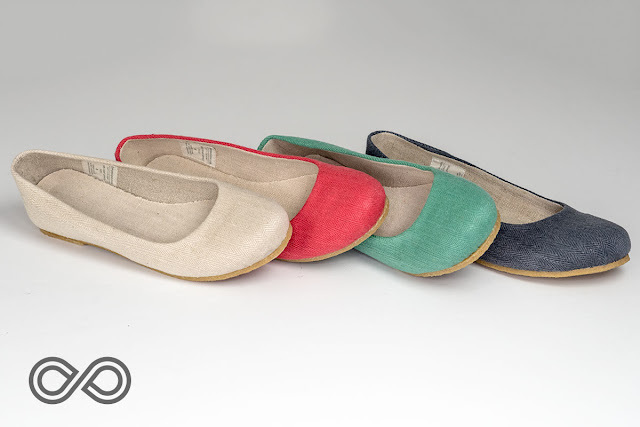 What alternatives are there to micro fibre clothing and synthetic plastic petroleum-based shoes? I've seen many sad clips of boaters rescuing sea turtles who are trapped in fishing nets and other debris. The flesh of the turtles have grown around the plastic and it's quite an effort for rescuers to cut the plastic off. Obviously, these heroic rescues only help a small fraction of the wildlife. The rest of them will die from the trap or spend the rest of their lives with these bits of plastic stuck to them. Calls have been made to severely regulate the fishing industry to minimize nets and debris escaping into the wild, but with the oceans being open season to all and the seafood industry having powerful players and a strong lobby, it's a very difficult thing to regulate. While many garment manufacturers hail the scientific advances in synthetic microfibres, citing their many waterproofing (hence non-breathable) qualities to the their sci-fi ability to "smartly" regulate body temperature, the fact of the matter is that these synthetic fibres are made from petrochemical compounds which are potentially toxic when these nanoparticles enter the human food chain. This synthetic clothing sheds particles of plastics overtime it's rubbed against something. In the laundry, even more particles of plastics are shed into the washing water, which enters the ground water and/or rivers and oceans. This cannot be good for health as these plastics find their way back into human food and water supply. Most people are rightfully worried about fertilizers and pesticides being involved in the growth and production of cotton. And that's a very legitimate concern, as cotton accounts for a big chunk of worldwide pesticide and chemical fertilizer use, not to mention that most of the world's cotton is genetically modified - or GMO. In some ways cotton is as bad as synthetic fibers. Fear not! Organic cotton is a great alternative. And so are organic hemp and linen fibres, which are both as old as recorded human history. 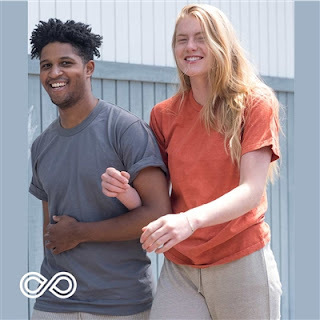 Organic cotton feels and looks just like chemically-grown and processed conventional cotton, except that organic cotton is grown without toxic chemicals and pesticides from GMO-free seed stock. And if you're not a hemp lover or linen lover yet, you're in a for a surprise! At Rawganique, we have been hand-crafting organic hemp and linen clothing, shoes, bags, bedding, bath, and home textile products since 1997, all woven and made in-house for true sweatshop-free purity. 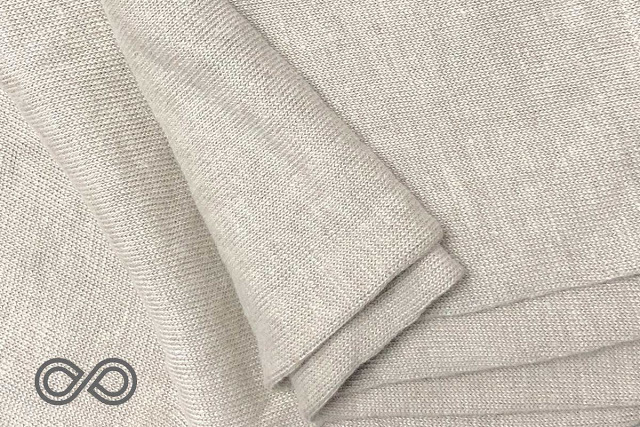 Hemp and linen are amazing fibres - with their microscopically hollow cores, they wick away moisture to keep you cool and dry in summer and cozy in the winter by trapping your own body heat to warm you. 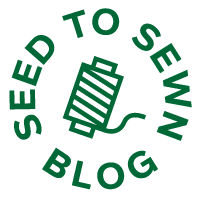 Be sure to give hemp and linen clothing a try, as they are great additions to organic cotton clothing for the chemical-free organic wardrobe. What about bamboo clothing? Isn't bamboo fiber clothing an eco option? There is no such thing as bamboo clothing! Short of wearing bamboo lumber on your body, the fiber commonly referred to by marketers is actually a human-made synthetic rayon fiber made from bamboo lumber. We love bamboo as a fast-growing, low-impact wood alternative for making furniture, cutting boards, and flooring. But bamboo fiber is a synthetic fiber that involves a lot of chemicals, acids, caustic sodas, and other potentially toxic materials to transform the hard bamboo lumber into soft, stretchy synthetic bamboo rayon. As far as we are concerned, "bamboo" rayon fiber is not natural. What about alternatives to the ubiquitous PVC and plastic and other synthetic bags as well as chemically-tanned leather bags? 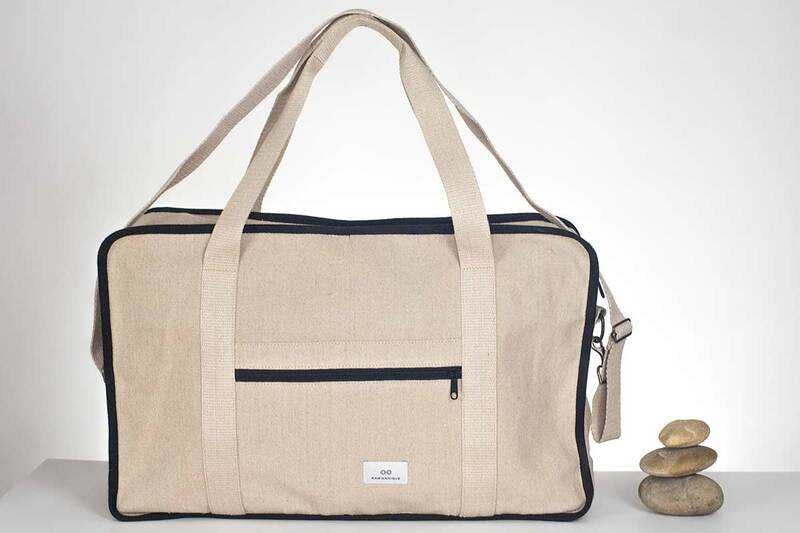 Again, everything for daily life can be made out of organic cotton, linen, and hemp, including clothing, accessories, shoes, bags, bedding, bath accessories, curtains, and other home textiles. Did you know that even toxic PVC shower curtain can be replaced with zero-VOC organic hemp shower curtains?